Rose Pilates requires highly trained professionals who have invested financially and committed to complete a very extensive training format that requires a minimum of 2 years to complete. A considerable amount of time is spent mastering over 500 exercises and how to apply them to individuals. An understanding of anatomy, physiology, theory, and body mechanics is required. Also knowledge of how to customize a program for each individual’s specific needs is necessary to complete their training. Our Asheville, NC Pilates instructors are required to complete hours of practice, observation, apprentice work, student teaching and study in order to take the certification exam. Once our teachers have completed the instructor training program they continue to invest in continuing education programs to stay current with their training, life time learning and teaching skills. Rose Pilates Instructors strive to bring the best possible training, body skills and education to our clients. Dianne has been in the health and wellness profession for over 30 years. She was originally introduced to Pilates in the ‘70’s as a dancer. One of her teachers used the Pilates mat work as a warm-up and she noticed this level of work increased her overall strength and stability. 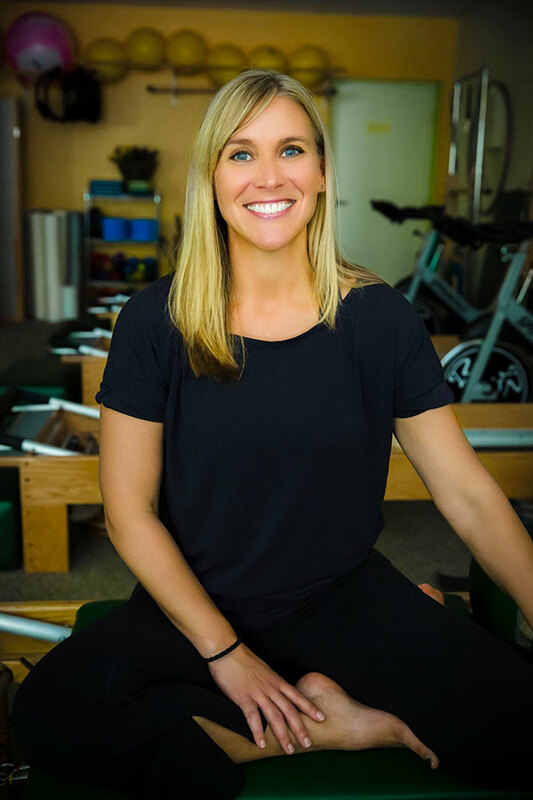 Several years later she had the opportunity to be reintroduced to the benefits of Pilates where she worked in a Hospital based wellness center that offered Sports Medicine, Physical Therapy and Exercise Physiology. There she also taught and managed the pre and post natal fitness program, the seniors and adult fitness programs where she worked closely with physical therapists, nutritionist, doctors and nurses implementing and teaching health care programs for the community. Pilates was introduced to the physical therapy department but we soon realized we were ahead of our time during the ‘80’s. Her passion for the work inspired her to pursue two certification programs. One with Polestar’s education in 1998 and the other with Core Dynamics in 2001. 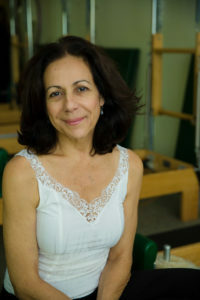 She has been certified with The America College of Sports Medicine since 1991 and received her Massage license in 1992. She has toured nationally teaching exercise and safety offering continuing education and certification programs. She has also had the privilege and opportunity to study with many of the first generation Pilates masters who were originally taught by Joseph Pilates. Through her many years of training and with her experience and knowledge she is able to make this work suitable for anyone wanting to experience the benefits of Pilates. Rebecca began practicing Pilates in 2006 after the birth of her third child. She will be forever thankful to the instructors at Rose Pilates for introducing her to this life changing fitness program. “I only regret that I did not discover Pilates earlier in my life. She has completed her Pilates mat and reformer certifications through Balanced Body and her suspension training with TRX. Rebecca spends her time away from the studio volunteering at her children’s schools, enjoying the outdoors, reading, cooking and hiking/running with friends. 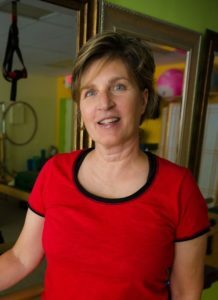 Judy is a certified Reebok Cycle instructor who has been teaching for over 17 years. She started teaching in 1997 at the Goldsboro YMCA while working as office manager. When she and her husband, David moved to Asheville in 1999, she became a 14 year employee at the downtown YMCA as office assistant, bank draft coordinator as well as teaching Reebok Cycling, kickboxing, abs and arms and kettle bell courses. After leaving the YMCA, she was asked to join the team at Rose Pilates and began teaching to a smaller, more intimate setting. Her love of music, fun and focus on form is a great fit for anyone wanting to learn the basics or to accommodate the more advance cyclists. Her classes can be tailored for all fitness levels. In her off time, Judy enjoys weaving on her loom, traveling, camping, hiking, backpacking, biking with her husband of 25 years and with her 14 year old son, Sam and her 2 border collies, Lucy and Jack. Jessi discovered Pilates in 1999 in Seattle, Washington. Having participated in yoga, sports and dance, nothing had ever given her the satisfaction and empowerment that Pilates does. Pilates was especially important to Jessi after the birth of her first child. Surprised and humbled by her postpartum weaknesses, Jessi had to learn to recruit and re-train deep support muscles. Strengthening the upper back and abdominal muscles hastened her recovery and reduced her aches and pains. In 2003 Jessi completed a 10-month Professional Pilates Teacher Certification program at Mind & Body Studio, in Seattle. Jessi began teaching mat classes and privates, specializing in–but not limited to–Pre & Postnatal training. Previously a Postpartum Doula, Jessi loves working with Moms and babies in her Pre-natal Pilates classes. She has worked with many clients individually throughout their pregnancies, and then postpartum. Additionally she has enjoyed teaching private group classes to small groups of women friends with their babies. Jessi also works with elderly clients, athletes, dancers, specific injuries, and the general public. Jessi lives in Woodfin with her husband–an acupuncturist–Josh, their children Jasper and Josie, two huge cats and one tiny dog.